Information about the most important diseases in paratyphoid (salmonella). Parastop is a combination preparation against Salmonella (paratyphoid) and E.coli infections and other associated specific intestinal infections. The composition of Parastop prevents arising resistance as much as possible because it is a combination preparation. Parastop is well tolerated during moult and can be administered with newly hatched squeakers. It is recommended to quarantaine the pigeons which are suspected of paratyphoid (salmonella) and to burn out or disinfect the lofts immediately. These measures are necessary in order to prevent further infection. ParaStop, Para Tablets and Parasol. 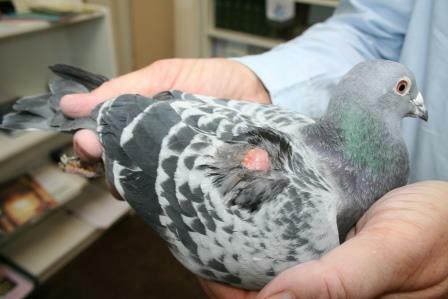 Also treat the infected pigeons extra with Para Tablets during the first 7 days of the treatment. After the treatment: Belga Bion for for 2 days.